Has the Page Already Been Turned? New York is home of 9/11, but it’s also home to both a mayor and governor who seem more disconnected and insulated from the veteran community that have served it before and after that tragic day. We have Governor Andrew Cuomo, who after visiting servicemembers in Afghanistan just weeks before Election Day, would return home only to(with a recommendation from Mayor Bill de Blasio of the “cost”) easily veto legislation that corrected inequities in the current military service credit law. Of course the veto message was released on a Friday evening, before Veterans Day, after the news cycle. I wonder how those same servicemembers would feel knowing that if they were to continue to serve in the public sector in the state of New York that the time they served in Afghanistan would not be recognized. If one were to ask the governor’s office how many veterans does the state employ in the public sector, the silence would be deafening as it’s not a metric that they track. This makes the figures cited in the veto even more dubious as well as ignoring the costs associated with administering a system with such complexities. The legislation was reintroduced this year and the governor and our elected conveniently left funding language for it out of the budget deal. There is a state senate bill and a companion assembly bill with, yet again, my fellow veterans waiting on our elected members of both chambers and governor to act. Empty rhetoric from our elected and a media base that fails to ask them the tough questions seems to be the norm for the state and local government. It’s been well known of the current disconnect that exists in New York City between Mayor Bill de Blasio and the veterans community. The administration will talk of ending veteran homelessness, but they conveniently leave out the fact that this “initiative” is one that is being backed and pushed by the federal government figuratively and financially. Recently, State Comptroller Thomas P. DiNapoli’s office released a report of the cities finances with a projected surplus of $3 billion for fiscal year (FY) 2015. I wonder how many people across our the city and country would be surprised to know that New York City allocates just $600,000 a year in its annual budget to the Mayor’s Office of Veterans Affairs, with most of it going to staff salaries. Also, half of that allocation comes from a state grant, meaning the city’s cost is $300,000. No more words are needed in this regard. Nationally, the not for profit sector has stepped up over the years and continues to, with organizations such as Iraq and Afghanistan Veterans of America, Mission Continues, Team Rubicon, Institute for Veterans and Military Families, Team RWB, Save A Warrior, Coming Home Project, Bob Woodruff Foundation, Equest being formed of expanding that net to catch some of us that may stumble taking those first few steps after service. The private sector has also stepped up with resources such as Google for Veterans and Families, Linkedin for Veterans, Union Pacific Railroad, and Amtrak. I can’t imagine where some of my brothers and sisters would be if it were not for these organizations and initiatives. Their unwavering support is duly noted. There has been a focus at the federal level with the not so surprising Department of Veterans Affairs scandal. Some of our elected, who have been in office for many years, should be ashamed of themselves for acting surprised and calling for the dismantling of this agency. Where were they the previous years with ensuring the Department of Veteran Affairs has the right leaders and the tools they needed to succeed? 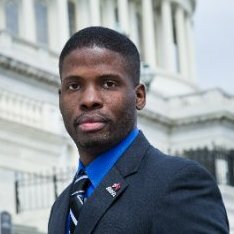 I recall hearing the words of fellow veteran Wes Moore, who pointed out that the next time our Commander in Chief is looking to engage in major military operations, the Secretary of the VA better be included to ensure they will be able to handle the issues that some of my fellow brothers and sisters that come home from these operations will need addressed. This will be an important question for me with some of the presidential candidates. I remember the words of a fellow Marine when we came back from an Operation Iraqi Freedom deployment. He said to take full advantage of what’s available, because the country will quickly turn the page and you will be forgotten. Sadly, I believe that day is here, but the elected will have more opportunities to prove me wrong. I sincerely hope that they do.